(Chicago) – Job seekers with past justice involvement have new opportunities for employment this year, thanks to a series of bills passed by the Illinois General Assembly and signed by Governor Bruce Rauner in 2016. These measures, which TASC supported, reduce or eliminate a number of employment barriers for individuals with past offenses. These new measures include: restoring hiring discretion to employers by removing lifetime bans on jobs in schools and park districts; removing a similar ban on licensure to qualify for certain healthcare jobs; removing “red flags” on the State’s healthcare worker registry for jobs in the field that do not require licenses; and prohibiting professional licensure denials in seven specific occupations solely because the applicant has a criminal record unrelated to the occupation. Together, these initiatives improve opportunities for people with prior justice involvement to work and earn income to support their families, pay taxes, and contribute to their communities. HB 4360, sponsored by State Rep. Kelly Cassidy (D-14) and State Senator Patricia Van Pelt (D-5), removes the lifetime ban on employment in schools for individuals with controlled substance convictions or misdemeanor cannabis, prostitution, or public indecency records, replacing the controlled substances ban with a seven-year waiting period. SB 3005, sponsored by State Senator Jacqueline Collins (D-16) and Representative Cassidy, makes similar changes with regard to employment within local park districts. Further, the bill removes the permanent ban on park district jobs for people adjudicated for a drug offense as a juvenile. SB 42 and HB 4515 remove barriers to jobs in healthcare for people with criminal records. SB 42 removes a lifetime ban on licenses for healthcare jobs from the Illinois Department of Financial and Professional Regulation (IDFPR) for individuals with certain offense records, replacing it with a three- or five-year ban instead, depending on circumstances. The bill, sponsored by State Senator Iris Martinez (D-20) and State Rep. Camille Lilly (D-78), enables IDFPR discretion to decide whether to grant a license in any particular case. Rep. Lilly and Senator Don Harmon (D-39) sponsored HB 4515, which changes the focus of the Health Care Worker’s Registry to an individual’s ability to work and not whether or not he or she has obtained a waiver, which in some cases has acted as a “red flag” hindering employment opportunities rather than opening them up. The law also removes misdemeanor cannabis crimes from the list of disqualifying offenses. HB5973, sponsored by State Rep. Marcus Evans (D-33) and State Senator Kwame Raoul (D-13), removes barriers to employment in barbering, cosmetology, esthetics, hair braiding, nail technology, roofing, and funeral service for people with criminal records. Advocacy for the school, park district, and healthcare employment bills was driven by FORCE (Fighting to Overcome Records and Create Equality), an initiative of the Community Renewal Society led by people with records and their families and faith communities to “create change and seek justice for people with records,” and RROCI (Restoring Rights and Opportunities Coalition of Illinois), led by Cabrini Green Legal Aid, Chicago Coalition for the Homeless, Community Renewal Society, and Heartland Alliance. The occupational licensure bill was a joint initiative of the Safer Foundation and the Illinois Policy Institute. (Chicago, IL) – A new state law that is set to give Illinois employers a tax break to hire people with criminal records was signed over the weekend as part of an Illinois justice reform package. 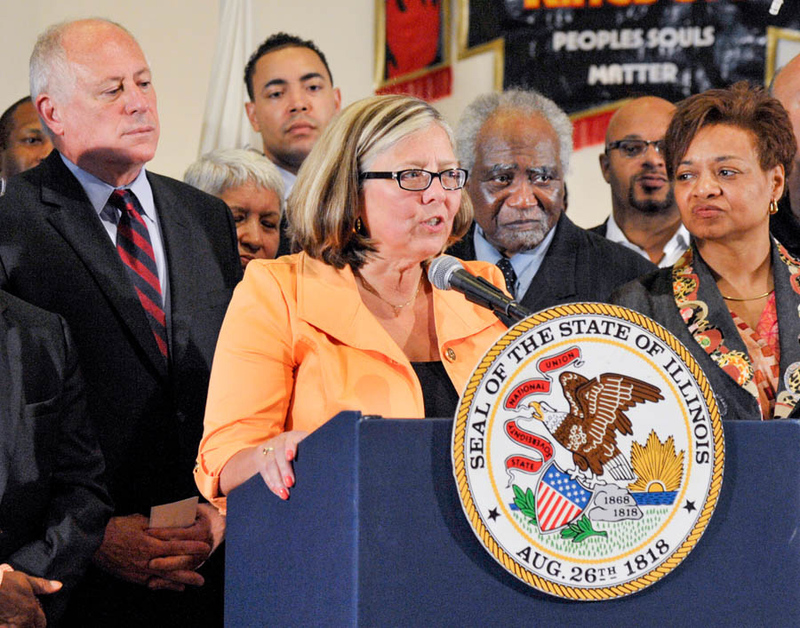 Senate Bill 1659, which was among several signed by Governor Pat Quinn at a press conference on August 3, increases the income tax credit for employers who hire qualified individuals with criminal records. Sponsored by State Senator Patricia Van Pelt (D-Chicago), the new law extends the maximum tax credit from $600 to $1,500 per employee. The tax credit will remain valid if an individual is hired within three years of being released from prison, rather than the current deadline of one year. The credit may be taken for up to five years. In addition to the tax credit measure, Quinn also signed legislation that offers prosecutors and judges more sentencing options for non-violent offenders to reduce the risk of repeat offenses, and he approved a bill to streamline the criminal record expungement process. Sponsored by House Minority Leader Tom Cross (R-Oswego), House Bill 3010 creates a “second chance probation” option for non-violent offenders. The new law allows a conviction to be cleared from a defendant’s record upon successful completion of at least a two-year period of probation, giving prosecutors and judges more leeway in dealing with certain offenses, Quinn said. 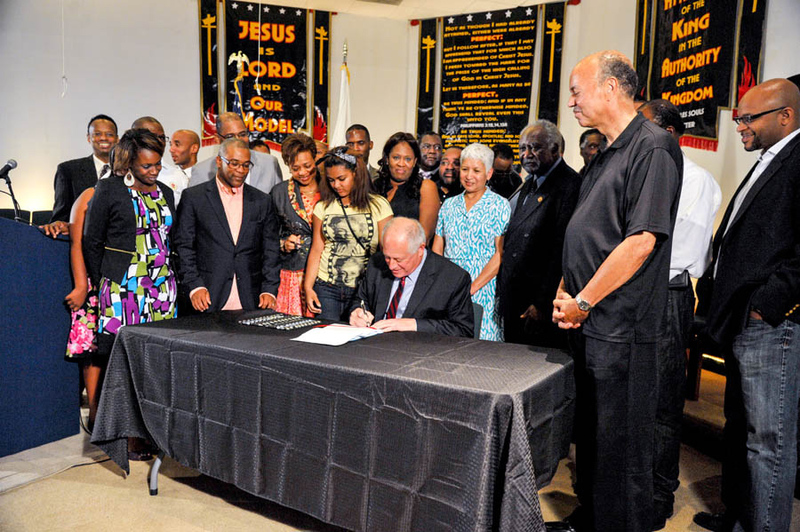 The new “second chance probation” law is a companion to the other measure signed by the Governor, House Bill 2470, sponsored by State Rep. Art Turner, Jr. (D-Chicago). This law aims to ensure that motions to expunge or seal criminal records are heard in a timely manner, enabling individuals to quickly restart their professional and personal lives. Among those attending the Quinn press conference was TASC president and CEO Pamela Rodriguez, who hailed the new laws. Rodriguez stressed that the legislation includes strict conditions. TASC’s president also praised the leadership and community advocacy behind the legislation.